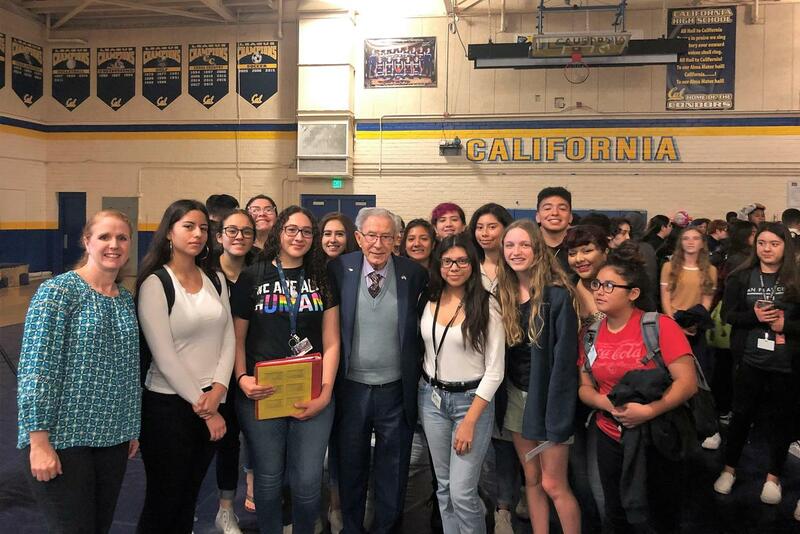 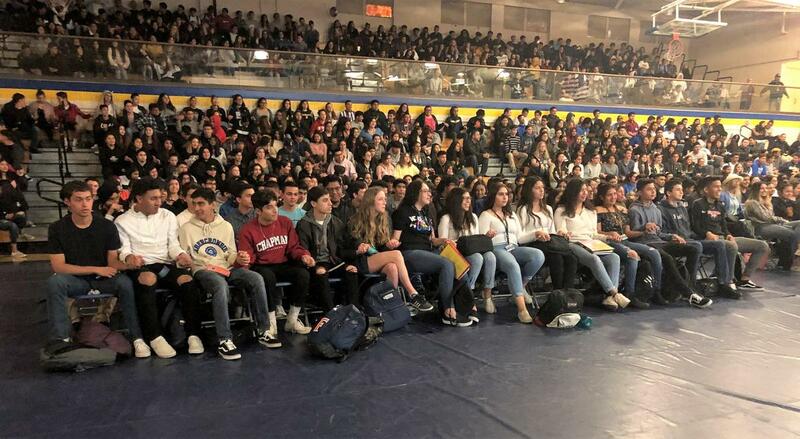 Over 800 California High School students listened intently to the story of Holocaust survivor Ben Lesser, who on March 19 detailed his experiences as a teenager in Auschwitz. 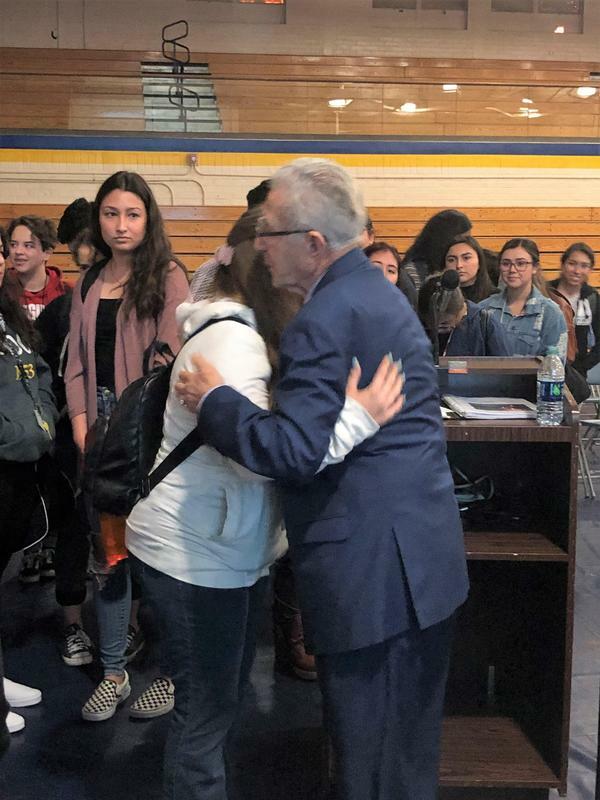 Originally from Krakow, Poland, Lesser, from the ages of 11 to 16, was transferred to Auschwitz and then Dachau before being liberated. 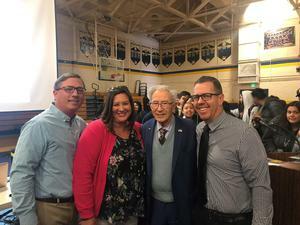 He lived in ghettos, was sent on a cattle car to Auschwitz, watched all but three of his family members die at the hands of Nazis, and was taken on a death march from Auschwitz to a labor camp, where he was liberated. 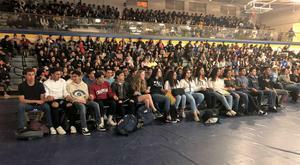 Organized by the Cal High social science department, the historic event was open to all teachers and grade levels. “This was a once in a lifetime opportunity for our students to meet a 91-year-old holocaust survivor in person, listen to his story and connect with history, to learn from his experiences,” Social Science Department Chair Natasha Fetrow said. 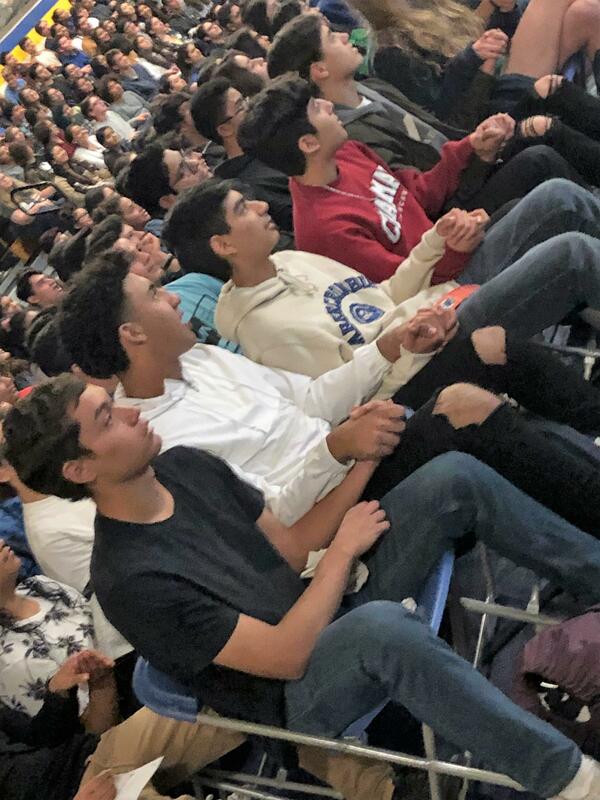 Each student received literature about the foundation and a pin that read “Zachor,” which means remember in Hebrew.